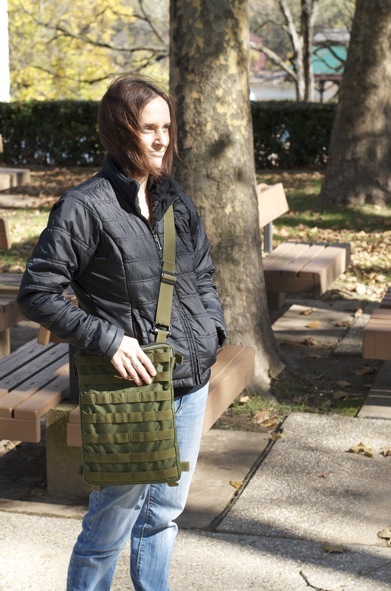 The MOLLE Panel becomes what you want it to be through the use of attachments. 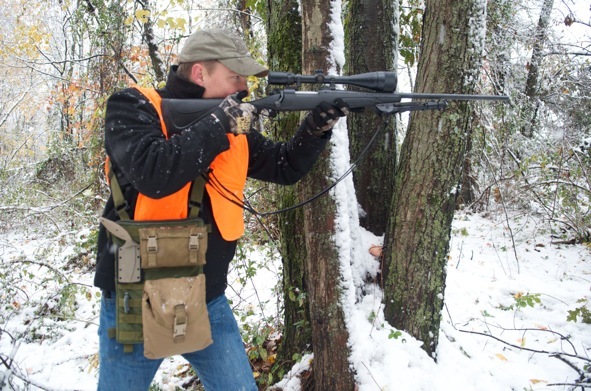 The following are just a few examples to demonstrate how one might set up their MOLLE Panel. How are you using your Panel? Tweet us on Twitter - we'd love to hear from you. The scenario: you've got a weapon in hand and you need to get up and go. Maybe you need to leave your squad car or maybe you need to leave your shelter. How do you carry your ammunition and magazines with you? Where is the middle ground between taping a few magazines together and getting yourself tac'd out in a "mall ninja" costume? 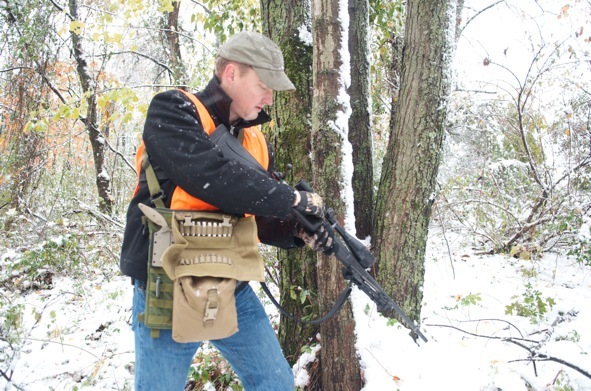 The MOLLE Panel has a lot to offer when configured as a bandolier. 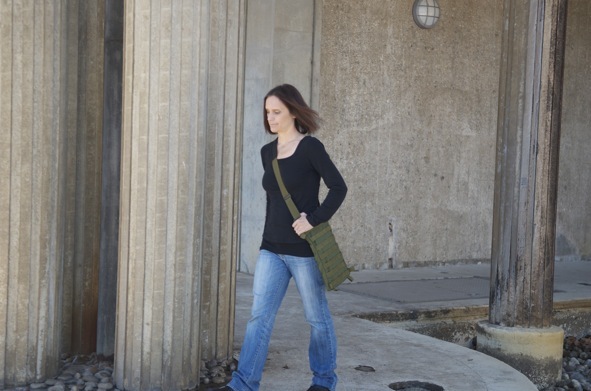 As a single-sling bag it's very easy to put on and to take off. The carrying capacity of the bag is significant, with as much useful MOLLE webbing on a side as some full chest rigs. 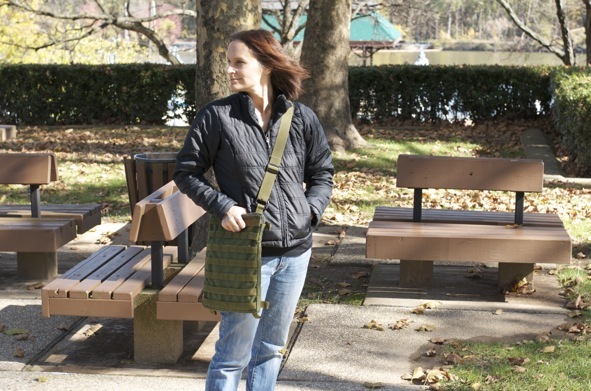 With the ability to mount a large number of magazine pouches, the MOLLE Panel gives the wearer mobility and flexibility while still being comfortable and secure. The large internal pouch gives the wearer additional options. 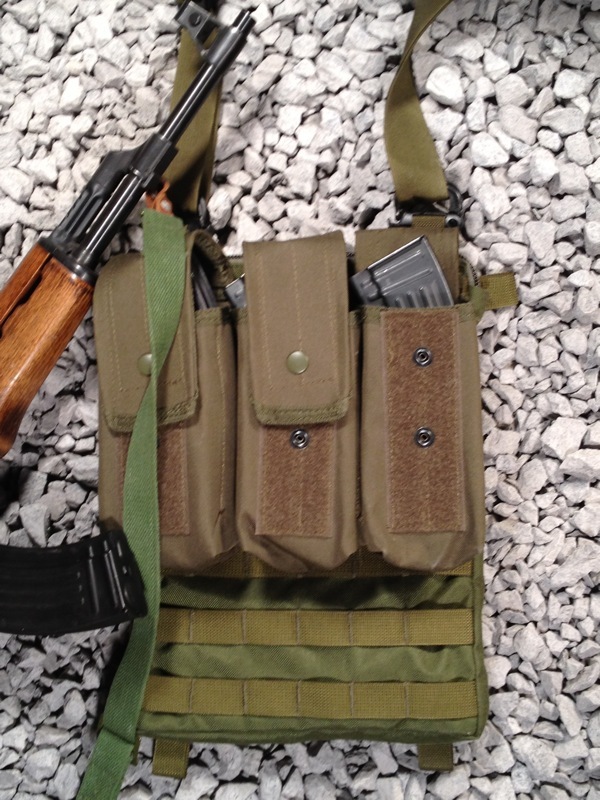 The configuration shown here has just two pouches - a three pocket AK/AR magazine pouch and a large utility pouch. 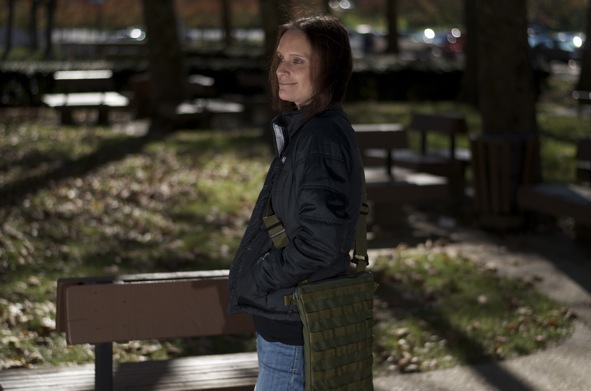 The magazine pouch can hold 6x 30 round AK magazines or 9x 30 round AR magazines. Inside the utility pouch are an Integral Tactical poncho, a Surefire flashlight, a small Nalgene bottle with fire starting aids such as REI waterproof matches and Swedish steel, an Otis all-caliber weapons cleaning kit, and a large amount of paracord. Additional equipment could be stored inside the MOLLE Panel's main pouch. 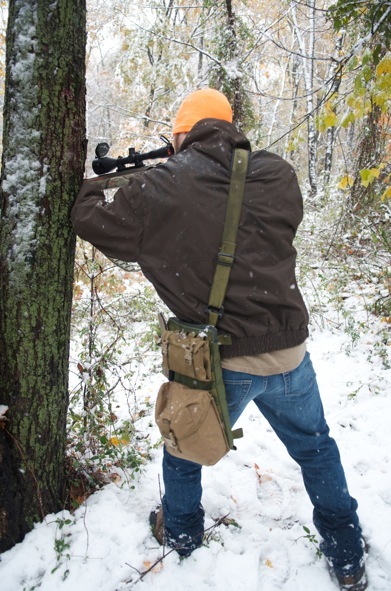 The MOLLE Panel is a very adept hunters companion. 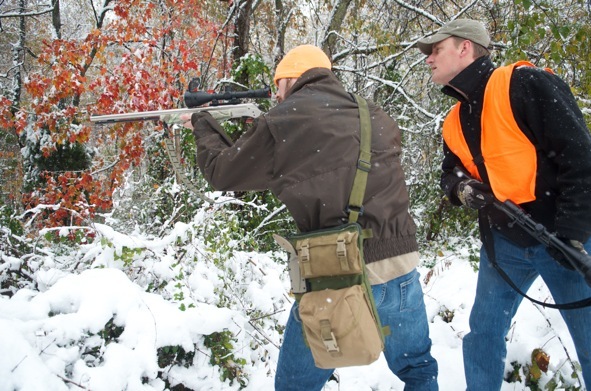 Slung over the shoulder, the Panel makes a comfortable counter weight to your rifle during the walk to the hunting site. Standard MOLLE accessories create ready storage for generous amounts of field gear - GPS, water, field dressing supplies, snacks, hand warmers, and more. The Panel easily accommodates the seasons, remaining comfortable over a thin shirt or thick insulating layers. 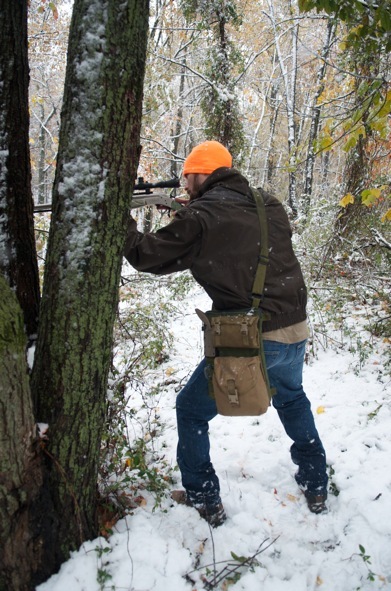 And whether it's time to dress game or perch in a stand, the easy on and off of a single sling is always welcome. The accessories attached to The Panel in the pictures are a Blackhawk! STRIKE Pro Marksman cartridge case, a SAW 200 round pouch and a Ka-Bar TDI Tanto. Additional Grimloc carabiners allowed for the easy attachment of seating pads and similar items. Leftover space on the outward face of the Panel could easily have fitted dedicated GPS / radio pouches or other items. These pictures were taken during the early-season snow storm in Maryland, October 2011. 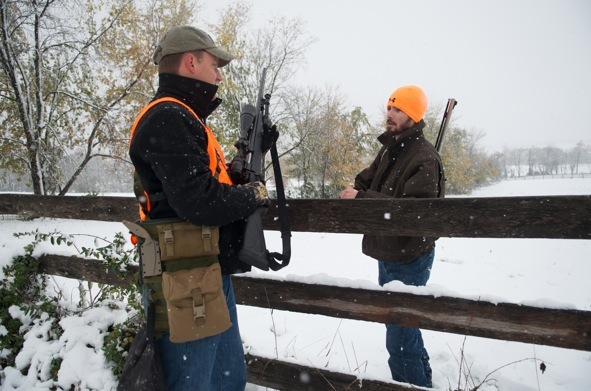 Special thanks go to Nathan for being a great sport and for sharing his time, gear, and his hunting insights. Thanks also to Bruce and family for being generous with their land. Finally, thanks go to John for his great work with the camera in atrocious conditions. The MOLLE Panel is attractively and uniquely designed. With a large and lined internal compartment, The Panel is practical and useful even without mounting additional MOLLE pouches. 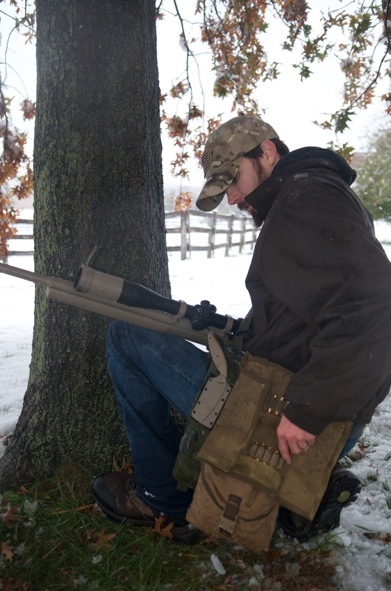 The MOLLE Panel measures 10 inches wide by 14 inches tall. 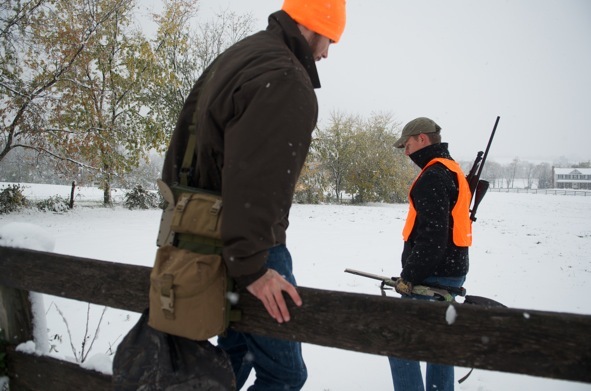 The padded shoulder strap adjusts from 14 inches in length (suitable for use as a carry handle) to 56 inches in length. Inside the Panel this is plenty of space for notebooks, reading material, an iPad or a Kindle, and even some smaller laptops. 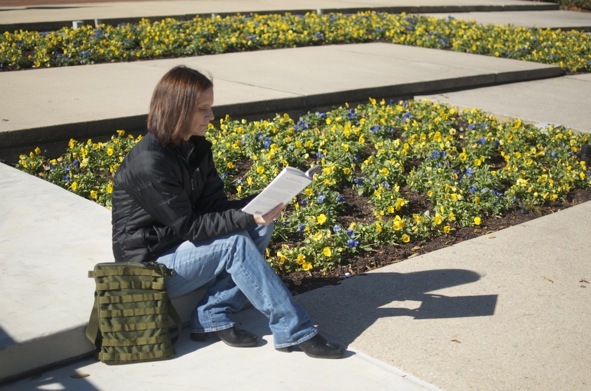 Note that The MOLLE Panel is not padded, so do take care when carrying fragile items inside.